Love chai but not into blowing your diet and budget on a $5 sugar-laden coffee shop version? Here is a delicious, healthy recipe for barista-quality homemade chai lattés. Place all of the ingredients for the syrup into a pan, bring to a boil, and turn off the heat. Let the syrup rest for 30 minutes. Pour the syrup through a sieve or fine mesh strainer into a clean pan and add the almond milk and cream. Bring the mixture to a boil, then use an immersion blender to blend the milk mixture until smooth and frothy. 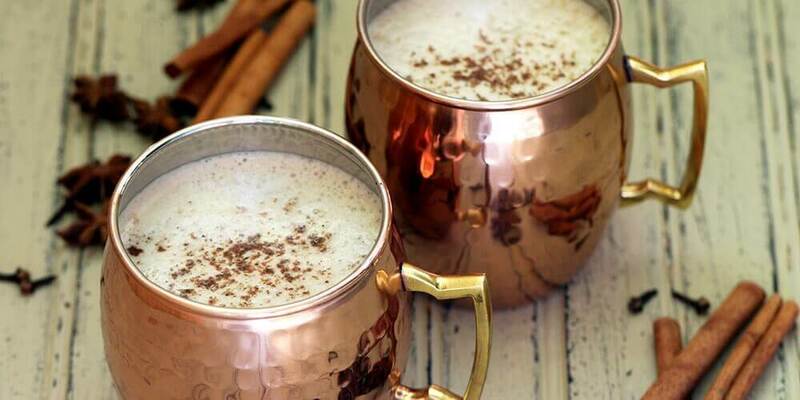 Pour the chai lattés into serving mugs and a garnish with ground nutmeg.